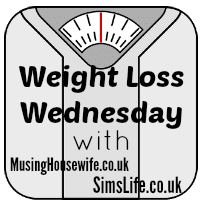 Welcome to Weight Loss Wednesday from Sim’s Life! The New Year has started in earnest and unfortunately for me, so has my new diet. This will be a regular Weight Loss Wednesday feature with linky – run alongside the Musing Housewife. If you are on a health kick too, have any recipes, exercise tips etc, feel free to join us in our journey! I was fairly good over Christmas and New Year with regards to eating and drinking, knowing full well January would be a shock to the old system otherwise! Managing to maintain weight over Christmas is extremely difficult due to the fact that every highly calorific food item is thrust in your face… and who can resist? Clearly I did! Onwards and downwards though and I am happy that in the first week of January I have already lost 4lbs… this is a good start towards my goal of losing a stone by the end of January… I must remember, it can be done! Weight Watchers – I started on the diet in January 2013 and went on to lose almost 3 stone that year. My freezer is stocked up with WW meals again and I am restricting my daily food intake accordingly. MyFitnessPal – luckily this has stored all my details from the last time I used the app. It’s fantastic for tracking your weight loss, food intake, calories, exercise etc – a must have app for anyone on a health kick! No alcoholic beverages or carbonated drinks – actually this is probably the easiest part of my diet! I am not missing alcohol or cheeky cans of Pepsi Max and as such have already seen a difference in my tummy from not being as bloated! Exercise – I had the crazy notion that Insanity was going to get me through, have you tried the DVD? It is exactly that… Insane! I am slowly working my way through , sweating buckets must be a good thing right? On top of that I am also utilising my exercise bike during the day and going to the gym – back to the Couch 2 5K… I am hiding from the personal trainer! Giving up the thinking sticks – I have rather randomly and quietly given up smoking, it had been coming for a while, so I thought ‘what the hell!’. Normally this would result in weight gain due to the habit of hand to mouth, however, with the aid of my e-cig I am getting by quite easily! My lovely mates – as you can see, I am running this weekly Weigh In Wednesday linky with Beth over at the Musing Housewife. Her journey will be a little different to mine as she will be on Slimming World. I love Weight Watchers as I am aware of what I can get away with on any particular day, so for me it will be interesting to see how Slimming World actually works. January is ‘the’ month to start a health kick, have you started one? Would be great to hear from you and find out how you are getting on, so please feel free to join in with our weekly weight loss linky! Come back next week to see how we are all getting on with our weight loss! Can definitely relate with weight-watching woes during the holidays! The secret to losing weight is finding a weight loss regimen you can commit to! Love that you are so determined! Really need to start again and hopefully succed this time around! This is good in maintaining healthy image and body. You are very determined for this scheduled fitness program. Good luck! Strangely my clothes all seem to have got smaller over Christmas too so time for me to pull on my running shoes once again. Good luck sausage! The couch 2 5k is epic – I’ll be watching to see how you get on. Sounds like you are well prepared to start this journey! 😀 Well done and I am on the same path to live healthier. Feel free to link up to the Weight Loss Wednesday linky – it’s for anyone on a health kick, would be great to see your progress! Good luck Maureen! Thank you so much! I’ve added the link. 😀 Here’s to a healthier us! This is really helpful. I will try this! It’s nice that there are apps now to watch your weight. It’s also important to have the right mix of exercise, diet and avoiding fatty foods and drinks like alcohol. I am trying, but failing at the moment. Coffee is my big weakness, and when I say coffee I say Latte! I can just imagine how mental the Insanity DVD is… I’ve just finished Phase 1 of the P90X, Phase 2 started yesterday. I love it, but I hate it! 8lbs down so far and so I’ve linked up with your new fab challenge since I posted my own fitness/weight loss post today! Thanks Chantelle – will certainly be trying your recipe this weekend – looks super yummy and filling! Just what I need for a change! Thanks for the sharing. I think this is a great idea to keep us on track. I should remind myself to cultivate a healthier and fitter lifestyle. Thanks Kelly! Appreciate your comment – January certainly does seem to be the month for a healthy start! So far it’s all going well and I have lost an extra pound. I don’t do things by halves – doing so much keeps my mind occupied for sure! I used to think my problem was weight gain than weight loss. However, as I get older I have to admit that I am getting soft in the middle now. One of these days I will have to accept that I have to lose weight too. Thanks chick – I am doing well, easier to give something up when you are bored of it rather than be forced! 🙂 I have not succumbed yet! Bravo on your successes to date! I’m glad that you’ve chosen to stick to the program you followed. I bought the Insanity Video and watch it once. Haha! Here’s to an awesome year. Everything is going well at the moment, just hoping it all lasts. The weight coming off is definitely motivation in itself! Insanity is proper crazy! Eek! 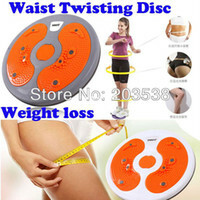 Weight loss is all about healthy balanced diet and life-long plus regular exercise. Do persevere and not stop! It’ll be satisfying! Good Luck for your goal 😉 Well, gymnasts needs to do all the push ups, plank, running and ect…. Come January, after food binging and partying, getting back into shape is the in thing! Good suggestions btw! Absolutely! It is the best time to start a health kick – you have a fresh outlook on everything and it is easier to remain motivated! I’m also trying to lose some weight. But I’m going gluten and dairy free for a while to see if it helps my weight management and annoying occasional upset tummy. I’d thyroid cancer 2 years ago and weight has been a real bugger since then. Anyways, will watch your journey with interest. Thanks! This is a good alternative for weight loss. This week is a good start for wight loss and health stuff. I’m with you on trying to lose weight.